1.1 What is tempeh? Is it better than tofu? 1.2 How is tempeh made? 1.7 How is tempeh production like? 1.8 Is tempeh a healthy a product? 1.9 Can all people eat tempeh? What is tempeh? Is it better than tofu? Tempeh is a fermented soybean derivative, which is consumed by its high protein intake, especially in vegetarian diets replacing meat. It is considered a more digestible food than tofu because during processing antinutrients as protease inhibitors were eliminated. 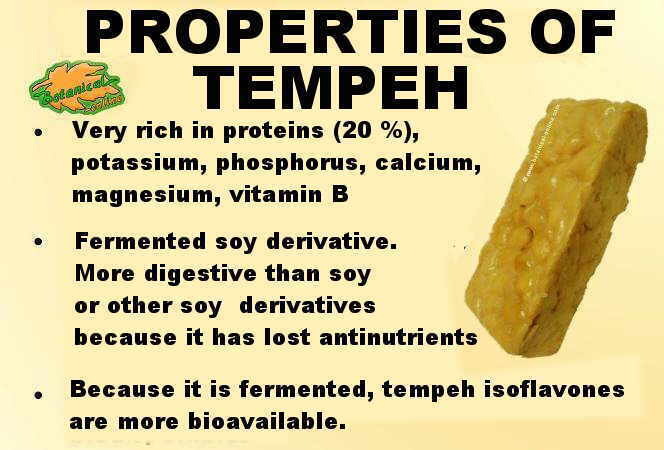 For this reason tempeh has better digestion than soy or non-fermented soy derivatives (moreover, tofu is a soy derivative containing more calcium). Tempeh fermentation can increase the bioavailability of isoflavones found in soybeans naturally, so it is a most suitable preparation in case of what is desired is the effect of these phytoestrogens (for example, to reduce the symptoms of menopause). Tempeh is obtained by cooking and fermentating soybeans. It is done with a fungus called Rhizopus oligosporus. The fermentation process gives it a whitish appearance and similar to a rice omelet or a rectangular hamburger with a juicy and tender firmness. It is used as a substitute for meat 100% vegetable, rich in protein, and with a flavor reminiscent of walnut. The origin of tempeh resides in areas of South Asia, particularly in Japan and China. It is documented that it comes from the area of ​​Indonesia, where it is believed to be made from more than 1,500 years ago. Gradually and due to the colonization of the area, it was extending its consumption in Asia, Europe, and throughout America during the twentieth century. Currently the consumption of tempeh and other soy derivatives occurs worldwide and trade is more widespread. Tempeh is a food that primarily gives us a great source of protein, fiber and isoflavones, B vitamins (except vitamin B12), minerals such as potassium, manganese, magnesium, copper, phosphorus, iron, and calcium. Being a fermented product, tempeh is a food rich in protein with a better digestion than soy or tofu. It also provides many other nutritional benefits since it contains, proteins, carbohydrates, fiber, vitamins and minerals..
Tempeh, such as soy and tofu, contains proteins of high biological value, that is to say, complete proteins with all essential amino acids. This makes it a very nutritious food, ideal for vegetarians or for people who consume little meat and fish diets. As plant food, tempeh contains no cholesterol and increases “good cholesterol levels“ in those who consume it. Besides, this derivative of soy could help reduce cholesterol and therefore would be beneficial in people with high cholesterol and cardiovascular diseases. Tempeh is one of the best foods for women who want to benefit from the properties of soy for hot flashes of menopause. In the West, 80% of menopausal women have hot flashes. Instead, this percentage drops to less than 20% in women in Japan. This is attributed to the effect of soy isoflavones (abundant in the eastern diet), but also by the different lifestyle, or by genetic causes. So eating tempeh is recommended at menopause to help replace estrogen deficiency that produces hot flashes and irritability. Summary sheet with the main properties of tempeh. It contains rich nutritious proteins of high biological value. To be fermented is more digestive and isoflavones are more bioavailable. Vegetarians can consume excess soybean due to soy-based milk and meat substitutes taken daily. How is tempeh production like? Tempeh is made with soy beans. It is washed, boiled, the shell is removed and allowed to stand in water for several hours. Then is added Rhizopus oligosporus yeast to ferment and allowed to stand at room temperature for at least one day, until the formation of a visible white cloth on its surface. Once prepared at home, it must be preserved properly. We must also follow the rules of conservation to maintain the product in good condition if it has been purchased from a seller. Is tempeh a healthy a product? 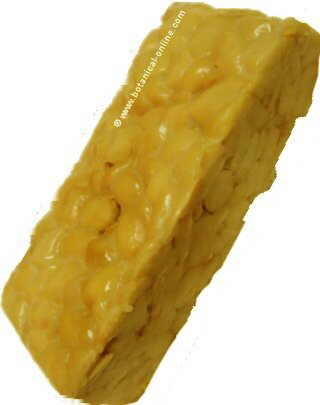 Tempeh is a healthy food when included in a balanced and healthy diet. 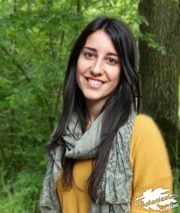 There are also other legumes and grains that can be nutritious same in each country. It is recommended to avoid soy products with a high content of sugar, fat, salt or other added additives such as soy muffins, soy yogurt with added sugar, soy burgers with lots of salt, soy drink, etc. Soy and its derivatives are not recommended for people with thyroid problems. Can all people eat tempeh? Tempeh is suitable for all persons, except those with soy allergies or trouble digesting legumes. This food is not appropriate for babies and children. Furthermore, once the tempeh are prepared to be digested well, it must be properly introduced.